Former Finance Minister Ignatius Chombo yesterday heaved a sigh of relief after his travel documents were temporarily released. His lawyer Mr Tungamirai Muganhiri applied for the temporary release of his client’s passport from February 1 to March 30 this year to enable him to undergo medical procedures in South Africa. Mr Muganhiri said the medical procedures were very crucial for his client who should not default. He also notified the court of Chombo’s change of address since he had moved from Golden Stairs in Mount Pleasant to 157 Chishawasha Hills in Harare. Harare magistrate Mrs Ruramai Chitumbura ordered for the release of Chombo’s passport. She also ordered him to reside at the new given address and to surrender the passport on the agreed date. Chombo is facing charges of violating Section 4(a) of the Prevention of Corruption Act (Chapter 9:16) by allegedly conniving with Psychology Chiwanga, Rejoice Pazvakavambwa, Iben Fransisco, James Chiyangwa, Theresa Chenjerayi, Elias Choto and Lazarus Chimba to forge documents used to transfer a Glen Lorne property from Harare City Council to Alois Chimeri. 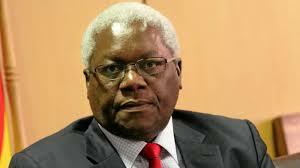 Chombo is also accused of allocating residential stands to illegal settlers at Whitecliff Farm before demanding and receiving a bribe of a 3 712 square metre stand from the landowner to remove the settlers. The land owner, Eddies Pfugari Property Developers (Pvt) Ltd, lost property worth $200 million in the process.